Any true horror fan will know the name ‘George A. Romero’, he helped put zombie films on the mainstream map with his 1968 classic ‘Night of the Living Dead’, which spread fear through the hearts and minds of many generations afterwards. In 1978 he punched everything up a notch with ‘Dawn of the Dead’. Better dialogue, characters, effects and plot gave this film a secure place on every horror fans favourite film list. Romero rounded off his official trilogy with ‘Day of the Dead’ in 1985, which showed a band of scientists and soldiers attempt to understand and cure the infection; the ‘godfather of zombies’ claims this to be his favourite of the three. Romero has since worked on other projects such as ‘Land of the Dead’ (2005), ‘Diary of the Dead’ (2007) and ‘Survival of the Dead’ (2009); none of which have matched up to his original ‘dead’ trilogy. Now we are wondering what the film-great has in store for us next, although another film is not clear at the moment, Romero is working on quite an exciting project. 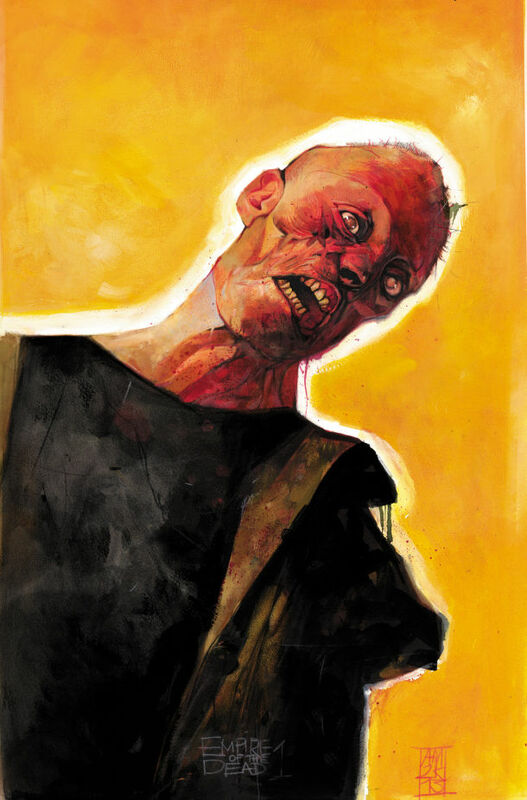 He is teaming up with Marvel comics to create a 15-issue mini series centred around a zombie apocalypse, Romero is writing the comics and Alex Maleev is illustrating them. The series will not feature any actual Marvel characters, however what the story will feature is vampires. Romero explains that it is not only zombies trying to survive, but also vampires as well. The great thing about doing a comic book rather than a film, is that if you have an idea in your head of what you want the scene/panel to look like then you can create it exactly, whereas on-screen it may slightly differ from what you wanted. What the series is going to look at more – which ‘Day of the Dead’ touched upon – are the characteristics of each individual zombie. Each zombie had a different personality when they were alive, and still do now that they are dead. Those personalities are going to emerge through the zombies as the series goes on. Maybe this series will finally solve the question of what would happen if a zombie bites a vampire… here’s hoping.